HMD’s new Nokia 8 Sirocco is company’s first device that features a (p)OLED display, that is also curved and covered with 3D Gorilla Glass 5. OLED display, apart from being superior in some aspects like brightness or contrast from LCD panels, they also suffer from a phenomena called burn-in. Burn-in is the term that describes a “ghost image” appearing on the display, because of different usage intensity of Red, Blue and Green subpixels. For example, the RGB subpixels that display the status bar (that’s static) are used more intensively than subpixels on parts of the screen that change their content. So there is a higher possibility that a status bar will “burn-in” than some object from a game you often play. You can read more about the burn-in effect at this Android Authority article here. Leaving the phone screen on with maximum brightness level for a long time may cause the display image to remain on the screen even when the screen switches off or when a new image appears on the screen. To avoid this, Nokia mainly recommends lowering the brightness. All tips for preventing this follows down below. – Lock your screen when you’re not using the phone and set the phone screen to switch off after a short time. Tap Settings > Display > Advanced > Sleep and select the time. – Lower the screen brightness: tap Settings > Display > Advanced > Brightness level . To adjust the brightness, drag the brightness level slider. Make sure that Adaptive brightness is disabled. The 8 Sirocco looks really attractive and features impressive specifications as well. The price might be a little higher than expected, but HMD really invested a little more in the materials and design of 8 Sirocco. The biggest mystery remains why Nokia 8 Sirocco doesn’t have OIS, when the 8 has OIS and EIS (available on Sirocco). Of course, the last year’s processor will turn off some potential customers, but we already know the reasons for using Snapdragon 835 instead 845. You can learn more about Nokia 8 Sirocco here. 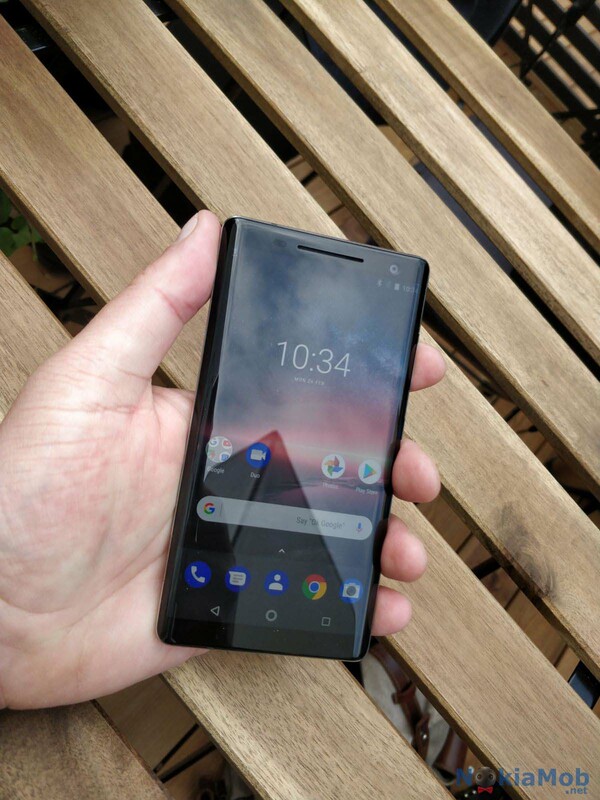 The official user guide of Nokia 8 Sirocco can be found here.